OMG – I finally made it to London and love everything about it from the dark streets of White Chapel to the plentiful pubs. When I came home I discovered this show on Hulu and have been binge watching it and I’m up to season IV. I hope the network reconsider cancelling this show as it is a great show and the characters are awesome. Got hooked after watching on Prime. Great cast. No long drawn out storyline. BBC often has better TV than the Americans. What a shame. Please run the show, just discovered it on Netflix and can’t stop watching. Great drama and great show overall. 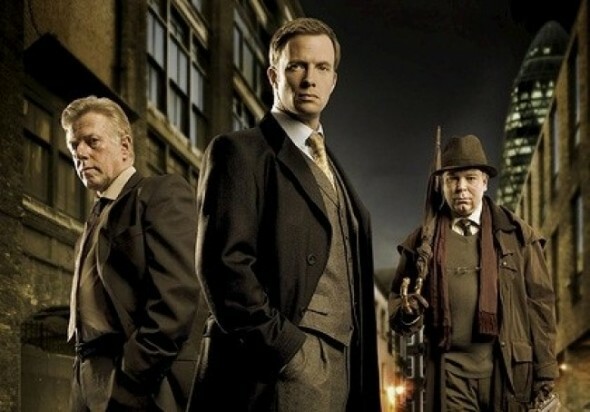 Whitechapel is an excellent show…brilliant stories and characters!! I’m very disappointed as today’s tv choices are not as thrilling and original as I found this to be!! Actors were perfect in their roles!! Whitechapel is one of the best crime and mystery serie ever made, with the 3 golden points: great storie line, great cast, great picture!It’s a gem!. Stopping it at its peak when so much people root for it, is almost criminal! You left us up in the air with the last episode of the fourth season. Anyone could see there would be episodes to evolve from the last one with major story lines. Bring it back! Please!!!! Like many others, I hope this show gets revived. Just finished my second time around watching all four seasons on Hulu. I am finishing Season 4 tonight wondering what series to begin next. Nothing compares to the excitement & suspense this show brought. It’s a different idea altogether. I believe it had a lot of life left. So annoying , so many unanswered questions.. What is with the old lady and the bugs..grrr just got into it and it’s finished..note some of us hate reality tv. We all know it’s scripted not real at all.. Great characters and story lines. Kept me quessing and that rare.. Very unfortunate. Feels like it’s left unfinished. By far one of the best crime shows ever. Characters floored and complex. A shame. Se 4 ended with a definite expectation that it would continue at least one more season. BBC sch a joke, whole reason they get the TVs licence money is so we can have good quality shows like this not so the execs can line their already fat arses even more.So Angry! Whitechapel is an excellent series. Bad decision to cancel. UGH! !